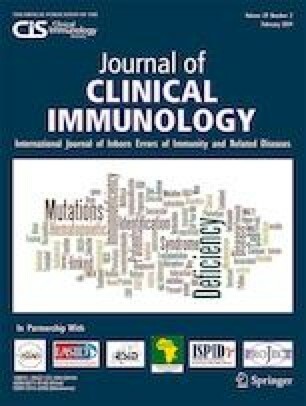 Chronic respiratory infections are frequent manifestations in patients with both primary and secondary antibody deficiencies due to their poor production of serum and secretory immunoglobulins. Intravenous immunoglobulin (IVIg) replacement treatment usually reduces susceptibility to infections, although it is well-known that IVIg does not reach mucosae in significant amounts. Human milk, a major source of secretory IgA (SIgA), also contains several other anti-infectious factors, which interact among themselves and with infant digestive and upper respiratory tract mucosa, providing effective passive immunity . Therapeutic uses of human milk have been anecdotal, and, as far as we could find in medical literature, this is the first report of human milk used as nasal adjuvant therapeutic proposal in a lymphoma patient with hypogammaglobulinemia due to rituximab treatment. We are grateful to the breast milk donors, to the Human Milk Bank of Hospital e Maternidade Santa Joana, particularly to the nutritionist, Audenira Menezes de Albuquerque Moreno, as well as to Dr. Eduardo Amaro, MD, the Director of the Institution, and especially Dr. Manoela Arruda-Spada, MD, who has also followed the patient. Financial support was provided by FAPESP (Fundação de Amparo à Pesquisa do Estado de São Paulo, grant 2018/02805-0).